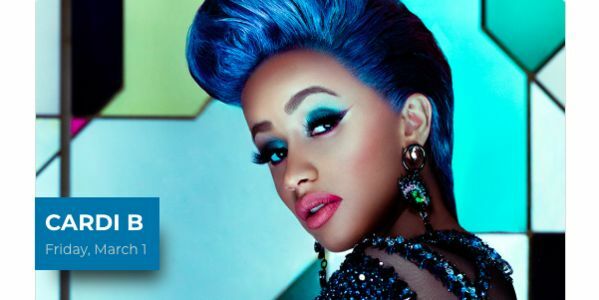 Horrible news, animal lovers: Cardi B is headlining an event chock-full of animal abuse: the Houston Livestock Show and Rodeo. Cardi B is, herself, an animal lover, which is why we're asking her to stand up for these poor animals and cancel her performance at the rodeo. The Houston Livestock Show and Rodeo includes events like the "Calf Scramble" where stressed and scared baby cows are set loose and then chased by children. There is also a "Paint Horse Show" where horses are trained to perform and move through trails using a method called "breaking" — a.k.a. getting beaten. There is not good reason to treat a horse like this, it's truly just to force them to perform for human entertainment. Of course there are also the more traditional rodeo events that are extremely abusive. For example, in order to get the bulls angry enough to buck their riders off, they apply a painful flank strap. Honestly, events like this shouldn't exist and if more people like Cardi B said so, we could start closing them down. Cardi B has 11 dogs, that's how much she loves animals. She may not know all the ways animals are being abused to make this Houston event go on though. That's why it's up to us, her fans, to ask her not to use her name and popularity to support such gruesome behavior. I just want Cardi to come out as an animal lover and stand up for the abused animals at the rodeo. Cardi, please be a hero for animals and drop out of this event!